Mormon settlers began a westward exodus, escaping persecution, in the 1830s. When they arrived in the valley of the Great Salt Lake, outside the boundaries of the United States, in 1847, they finally found a home. The church's strengths -- a cohesive social and economic community and its members' absolute loyalty to their leaders -- threatened some. Critics believed Mormonism combined the roles of church and state in an un-American way. The U.S. government targeted plural marriage, which was, in the words of journalist Ken Verdoia, "the easiest whipping boy for Federal officials who really feared... theocracy in Utah." 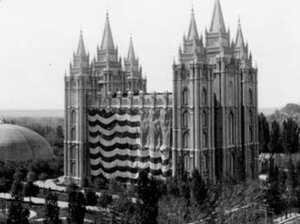 Congress would refuse the Utah Territory's applications for statehood for four decades, until the church renounced polygamy in 1890. Then the objections were lifted, and Utah entered the Union on January 4, 1896. Explore Utah's path to statehood. 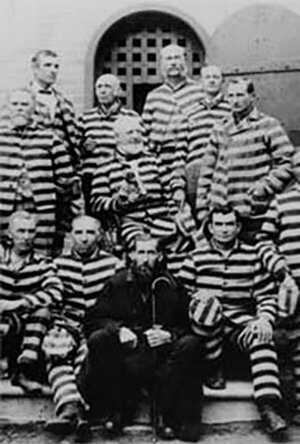 In 1846, a group of pioneer members of the Church of Latter-day Saints traveled west from Illinois to escape the violent opposition of non-Mormons. They arrived in a desolate area past the Western border of the United States in 1847, calling the land they claimed "Deseret." Deseret's boundaries included the present-day state of Utah, most of present-day Nevada and Arizona, and parts of southern California, Wyoming, Colorado, New Mexico, Oregon, and Idaho. Soon afterward, the U.S. claimed the land as part of the Treaty of Guadalupe Hidalgo, which ended the Mexican-American War. In 1849 the Mormons, now living in Utah Territory, petitioned to enter the Union as the state of Deseret. Statehood would give the region more autonomy through its own elected state government and representatives. "Mormonism ... was in absolute conflict with fundamental values of American democracy. It believed that one man had been ordained by God to be the leader of the people, and he demanded complete obedience. It created a community where people would share their resources and make sacrifices for the good of the community, which was opposed to the notion of every man for himself and basic frontier individualism. It created bloc voting, so that as Mormons moved into a place, they could capture the ballots of political power, and they even began talking about how they would control the outcome of national elections. These were basic threats to American values and feelings..."
As a territory, Utah came under the direct control of Congress. Mormon leader Brigham Young was appointed territorial governor, but he resented any infringement on his authority. Young's leadership provoked the national government to declare the territory in "rebellion," bringing U.S. troops to Utah in a conflict known as the Mormon War. Following the horror of a Mormon-led massacre of 120 people in a westward-bound wagon train at Mountain Meadow in fall 1857, public opinion regarding the church deteriorated. Deseret's prospects for statehood seemed dim. During the Civil War, the U.S. government shifted its attention from the Mormons. President Abraham Lincoln told a Mormon representative to Washington, D.C., "You go back and tell Brigham Young that if he will let me alone I will let him alone." In this period of Mormon isolation, Young, having given up his governorship, built the insularity of the Mormons against the territory's encroaching non-Mormon population. "[The Mormon leadership] send[s] a petition signed by thousands of people from Utah, saying that they will no longer obey any laws of Congress that they don't like. They run out virtually every non-Mormon federal official in the territory." "The South is making continual sounds towards secession. The issue is slavery and states' rights -- and the person that's dealing with it is a president by the name of James Buchanan. 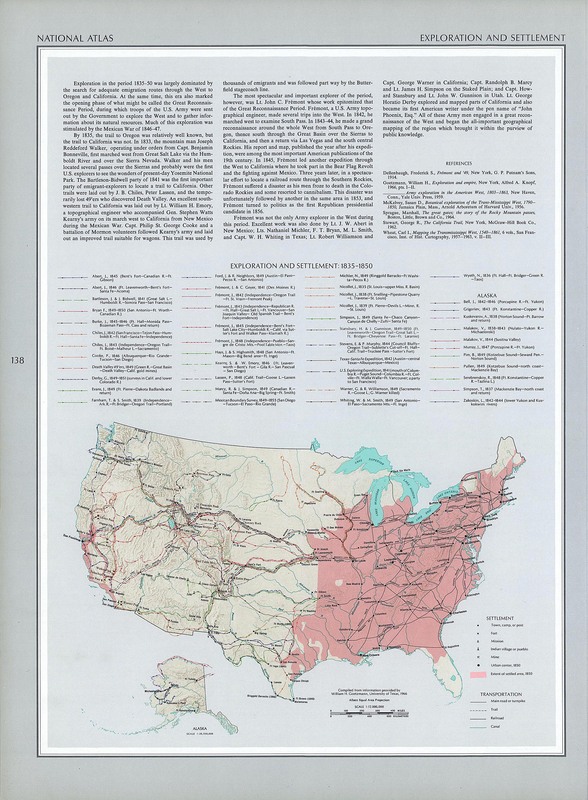 Buchanan declares the Utah Territory in rebellion, and he marches 20 percent of the entire United States Army to the West to subdue the rebellion." 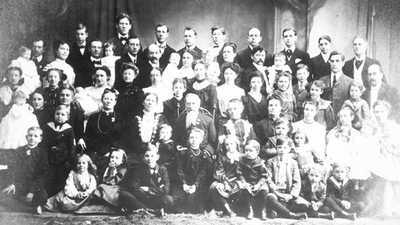 In 1890, after the Supreme Court upheld the Edmund-Tucker Act securing the government's right to seize the church's property, Mormon president Wilford Woodruff announced in a document known as "The Manifesto" that the church would renounce the practice of polygamy. Utah was admitted to the United States on January 4, 1896, and that year sent its first two senators and one representative to Congress, all members of the Republican Party. "Statehood is an extraordinary achievement, but it's born of the fact that the LDS people realized they had to change to conform with the mandates that were coming out of Washington D.C., of what the voice of the public was demanding from Utah." "Utah begins to look like it has importance to the nation. After all, it has two senators. We have electoral votes to deliver, right, so you begin to take part in the life of the country." Link to the text of the Wilford Woodruff's 1890 Manifesto. From the first years of its existence, the Mormon Church sparked violent opposition from other Americans. This violence claimed many lives, including Mormon prophet Joseph Smith's, and eventually led to the Mormons seeking refuge outside the boundaries of the United States. The Church of Jesus Christ of Latter-day Saints is one of America's fastest growing religions. 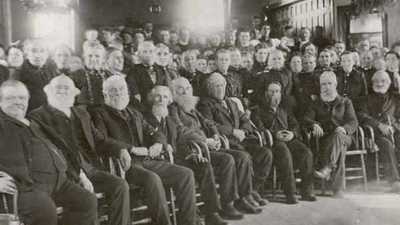 Rising from humble beginnings in the 1830s, the church now counts twelve million members worldwide.